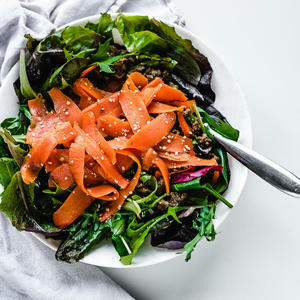 This warm winter salad with beef and carrots is a delicious way to enjoy a healthy salad. With only 5 ingredients it will be ready in no time. Salads aren't just for summer time!